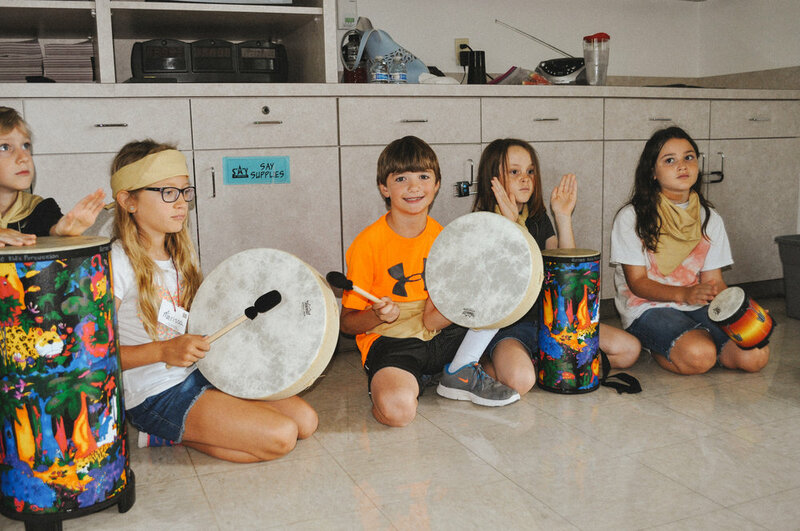 We provide fun activities for children through interactive games, worship music, and engaging environments! Our team is equipped to bring faith and fun to all our classrooms. We intentionally create environments to make our children (and their parents!) feel safe. All volunteers have training and go through background checks. Children are encouraged but never forced to participate in activities. We are a growing community and strive to build upon that each year. As the year goes by your child will get to grow not only as a disciple, but also grow into new friendships. As a church, we are always investing in the next generation, and this starts with children. From praying to sharing relevant Bible lessons with elementary kids, our goal is for each child to learn about the Bible and experience God’s presence weekly. We are excited to help you bring your children closer to Jesus and show them the beauty of our Catholic Faith. Faith Formation is available in English and Spanish for children in 1st-5th grade. Classes meet weekly September to April. Call us or stop by today to find out more information! Have your child learn more during Mass when they come to our Sunday school classes. We bring kid-inspired fun to every classroom through energetic learning activities, interactive games, and bright, friendly environments. For ages 3-5. Classes meet weekly September to May. When you bring your child to Sunday mass they are welcome to take part in our Children's Liturgy of the Word which occurs before the readings and ends after the homily. Ages 5 to 8. 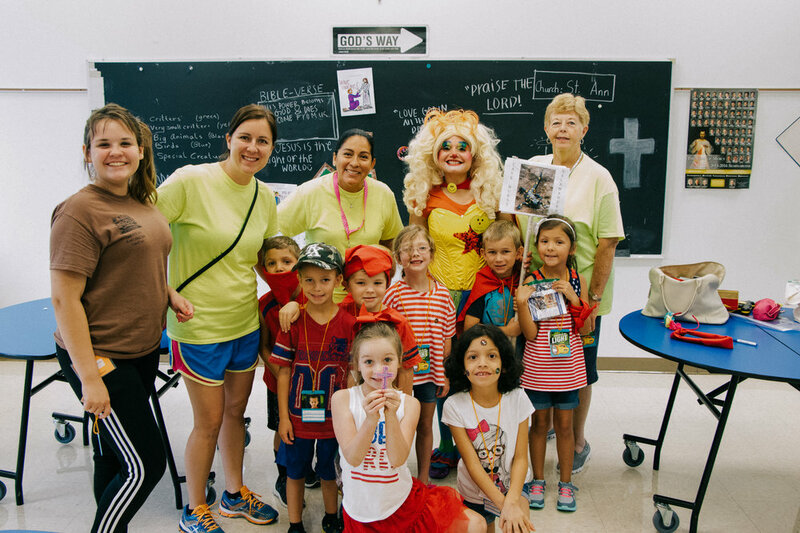 Bring your child to our VBS program each summer for a whole week! Kids discovered this year how Jesus rescues us through life's storms and at the same time had fun with new friends! VBS will be June 24-28, 2019. For kids going into Kindergarten through 5th Grade. We offer courses specifically prepared for your child with special needs. For more information, click the button below. We would love for your family to stop by our office at St. Ann or if you like to schedule an appointment please give us a call!